Cubes can be laid out back to back to reduce the number of panels and expense. Contact us for a full estimate. We Specialize in Refurbished Modular Furniture Systems. 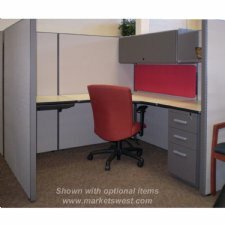 At Markets West we offer refurbished Herman Miller and other quality modular products, available in many color choices. 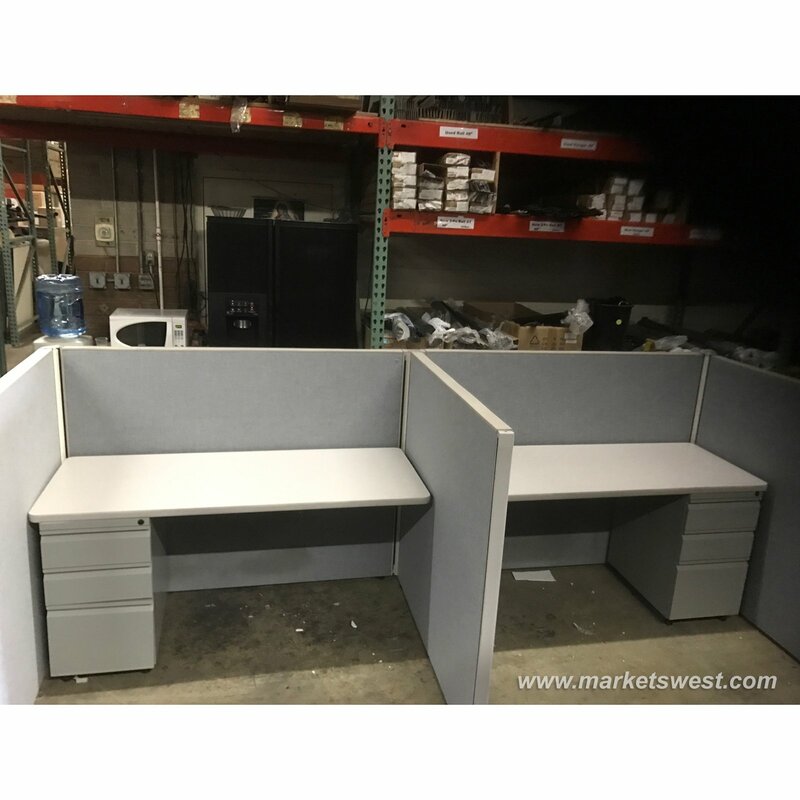 In addition to refurbished modular equipment, Markets West has a vast network of industry contacts from which we can do large quantities of used "as is" stations. We will find an existing inventory of modular furniture to meet your needs, we will ship it to Phoenix from all over the United States and install it at your job site usually for PENNIES ON THE DOLLAR when compared to new or even refurbished. We would be pleased to assist you with your modular requirements in our full service showroom. We also offer FREE CAD Design and Layout. Local Delivery available in the Metro Phoenix and surrounding areas. Setup and assembly also available at additional charge.